Shhhhhhh! Hear that? This was the quietest weekend of the club season. While East Coast multitudes packed the beach for Wildwood, the only serious action of the weekend saw Nationals hopefuls battle it out in Salt Lake City at the Select Flight Invite. In a clash of two Northwest regional rivals, Portland Rhino Slam took down Vancouver Furious George in the final on double game point, 15-14. This capped off an undefeated weekend for the men from Oregon, which included wins over top-seeded Oakland Guerrilla and fellow Oregonites Eugene Darkstar. Prior to their final loss, Furious had swept through their competition: a four point victory over Kansas City Prairie Fire in the semis was their closet game of the weekend before the final. It was a disappointing weekend for Iowa City Illusion, who fell from their initial seeding of sixth to a 12th place finish. They only notched one win, over Dallas Nitro in pool play, but Nitro rebounded and would go onto take fifth place after losing to Prairie Fire in the quarterfinals. San Francisco Polar Bears swept the Mixed Division at the Select Flight Invite, completing the weekend with a 7-0 record and, with any luck, a performance good enough to secure the Southwest a strength bid. After a shaky start against Minnesota Star Power, Polar Bears found their form and took care of their pool play games and crossover game with ease. In the semis, they were challenged by the overall one seed, Seattle Birdfruit, but prevailed 13-11. On the other side of the bracket, Washington D.C. Rally downed Toronto UNION, 13-7 to take their spot in the final. Another San Francisco team overperformed expectations as well. Classy, originally seeded ninth, took fifth with their only two losses coming to Birdfruit and UNION. On the other hand, it was a rough weekend for Bozeman Bozos who fell to third in their pools and missed the bracket after taking a loss to Atlanta Bucket. In the only other action of the weekend, Truckee River Ultimate Cooldown saw Chico Platypi go 2-2 in the five-team round robin pool play but then clean up in bracket play on Sunday with a 15-3 win in the final over San Francisco Argo. Kansas City Wicked looked wickedly good all weekend long, taking home seven victories on an undefeated weekend. In the final, they matched up against Denver Small Batch, who shocked the tournament, first downing Bay Area FAB in pool play, then Vancouver Sneaky House Hippos, and finally Salt Lake City Elevate in the semifinals before falling to Wicked. FAB, who had to play Elevate in quarters, was the only one of the top four seeds to not make to the semifinals. Seattle Soul took fifth after coming in seeded 10th overall. They fell to Sneaky House Hippos in the quarterfinals but looked solid throughout the weekend as the next in a long line of Seattle women’s teams being successful on the national stage. Philadelphia would feel the underachieving disappointment as fifth seeded Green dropped all their pool play games and was eliminated from competition on Saturday. They did win their two consolation games on Sunday, however. This weekend is the US Open! 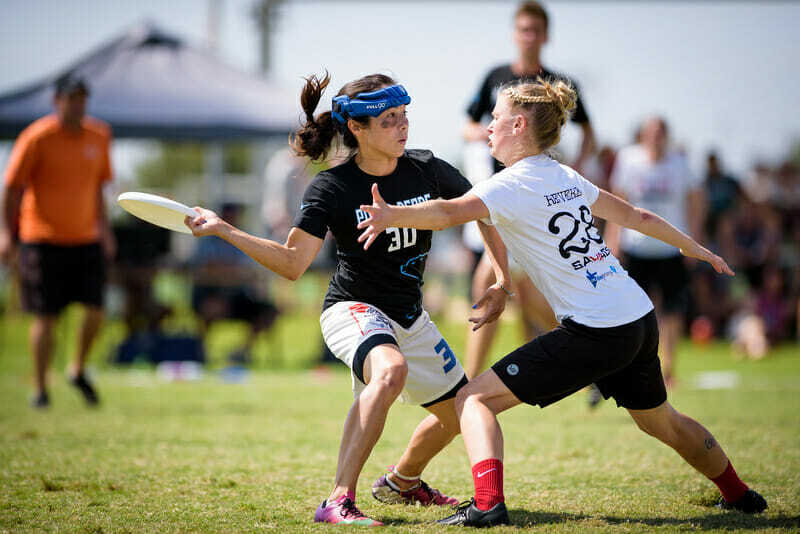 One of USA Ultimate’s premier events of the year, this four-day colossus of a tournament features teams across eight divisions with the International Club Championships happening Friday, Saturday, and Sunday and the Youth Club Championships offset one day on Saturday, Sunday, and Monday. In the ICC division, the main storyline will be how committed are the top US teams less than two weeks removed from playing at the World Ultimate Club Championships. Of the 13 US teams that competed in Cincinnati, 11 will be at the US Open. A weeklong tournament is a lot on the body and the mind and to be rolling into this three-day bout could be difficult to push through mentally. This possible lack of mental energy will leave the door open for lower-ranked US squads and the international competition to knock off some of the traditional top dogs. Heavyweights and the Philly Open will feature competition in the Men’s, Mixed, and Women’s divisions for Midwest and East Coast teams, respectively. PB & J will see teams from the Men’s and Mixed divisions square off in Bryan, TX, while Coconino Classic in Flagstaff, AZ, will host mixed teams for the weekend. Comments on "Club Update: Battleground Salt Lake City"